If I told you there was a movie released in 2016 starring Taran Killam, Bobby Moynihan and Gillian Jacobs, along with Kumail Nanjiani, Kenan Thompson, Rachel Harris, David Wain, Mike O'Brien and Aidy Bryant, written by two SNL writers and directed by SNL's video superstars Matt & Oz, you'd probably wonder why you never heard about it, much less saw it. You'd also probably guess that it wasn't very good, because if it was, it probably would have played in more than 17 theaters and made more than $14,218. In fact, one wonders if perhaps Brother Nature was the thing that led producer Lorne Michaels to pull Killam from SNL. OK, that may be hyperbole, but Brother Nature is just a massive waste of potential from all directions. With so much genuine comedic talent on-board, to end up with the rather generic misfire that is this film is simply disappointing. Just putting Jacobs, who has been pretty great is most everything she's appeared in, including Community and this year's Don't Think Twice, into this film should have started Brother Nature out three steps ahead. 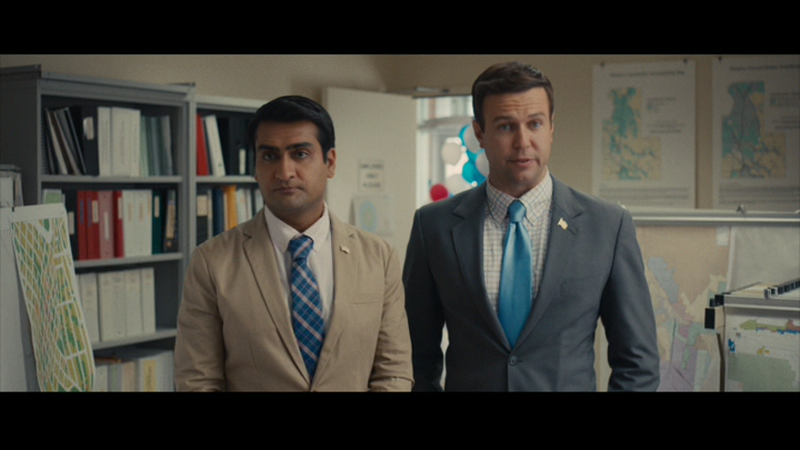 Throw in a relatively large role for Nanjiani, perhaps the finest scene-stealer working in Hollywood today, and there's no excuse for what happened here, as the script by Killam and SNL's Mikey Day doesn't give them enough to do, and surrounds them with comedy more attuned to the Happy Madison crowd than SNL. Killam plays Roger, the chief of staff for retiring Congressman Frank McClaren (a barely-used Giancarlo Esposito), who is being considered for a run for his boss' soon-to-be open seat. He's given the week he's off for vacation to think about the possibility, as he vacations with his girlfriend Gwen (Jacobs) and her family at their lake house. With the candidacy and his hopes to propose to Gwen weighing on his mind, the last thing he needs is Todd (Moynihan), the manchild boyfriend of Gwen's sister, who has glommed onto Roger like a giant puppy dog, and trails misery and destruction for Roger in his wake. In the course of a few days, Todd (whom everyone in the family loves) puts Roger through living hell and may sabotage his chance to run for Congress. As rough as this may sound, there are definitely some funny moments here and there (Nanjiani is great whenever he's on-screen, Kenan Thompson is a human visual gag, and David Wain never fails to earn a smile) and there's a legitimate laugh-out-loud joke early-on with Killam and Moynihan, which unfortunately raised expectations. Overall, it's a film that tries too hard to earn laughs, then takes some zigs where it should have zagged, and the last quarter becomes a bit of a slog that requires you to go right past suspension of disbelief into suspension of disinterest. That simply shouldn't be the case with such talent on-hand. It's sad that this is the only film Matt Villines was able to make before he passed, when as part of Matt & Oz on SNL, he seemed capable of so much more. Brother Nature arrives on one DVD, packed in a standard keepcase. The disc sports a static, anamorphic widescreen menu with options to play the film, select scenes and adjust the setup. Audio options include Dolby Digital 5.1 English , French, Spanish and English Audio Description tracks, while subtitles are available in English SDH, French and Spanish. 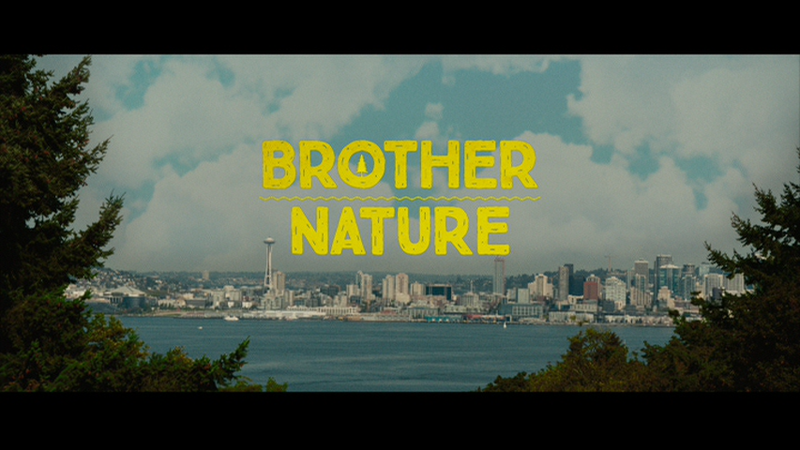 The anamorphic widescreen image on Brother Nature is fine, but don't expect much. For a film that takes place in the great outdoors in the middle of summer, the sun seems to be an issue, with scenes changing in terms of light from angle to angle. The transfer doesn't introduce any negatives, and the level of fine detail is quite good, but overall, it looks a bit dull for a movie set where it is, with saturation falling lower on the scale than expected. Unfortunately, digital effects used are rather obvious, which is slightly distracting. The Dolby Digital 5.1 track is nearly as disappointing as the comedy. For a modern film, especially one that takes place outdoors, you expect a lively presentation, but pretty much everything is happening in the center channel, with occasional music getting a boost in the surrounds. Atmospheric effects are minimal, and there's nothing noticeable in terms of dynamic mixing. There's nothing wrong with the presentation and it's free of distortion, but you would expect more. Nada. Perhaps after putting the gag reel during the credits, there was no need for any more. If you're not a comedy nerd or an SNL die hard, you could watch Brother Nature and have a real good time, but the missed opportunities and easy comedy will foster disappointment in those likely to be most interested in this film. On DVD (the film wasn't released on Blu-ray) it looks and sounds fine, but there are no extras, making it hard to justify owning it. 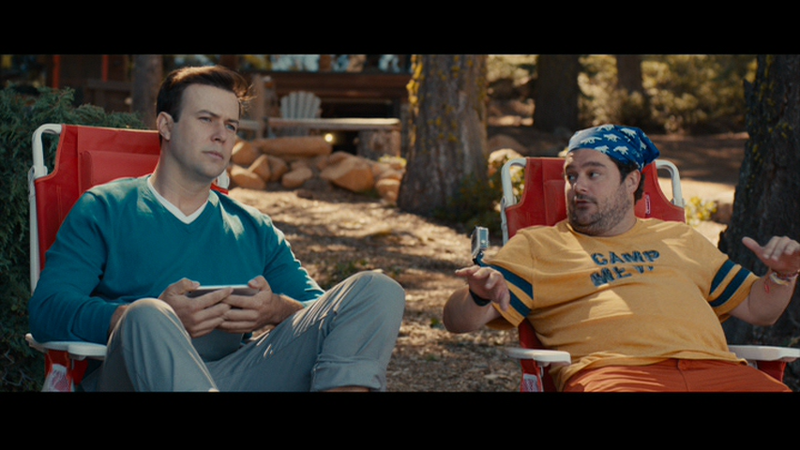 Perhaps if you really need more Moynihan or Killam in your life, but even then there have to be better options.